I can’t believe this Motivation Monday brings us to the two-week countdown to Memorial Day. For many, this is crunch time before the start of bathing suit season. If the holiday is giving you extra motivation to pump up your fitness routine, remember, it’s also the perfect time to take a hard look at the one thing that can make all the difference when it comes to maximizing your workouts: your diet. There’s a reason why you almost always hear the words diet and exercise in the same sentence when people talk about healthy living. You really can’t have one without the other. I can tell you from personal experience that reaching your fitness goals isn’t just about what you do at the gym or at that bootcamp class in the park. It has everything to do with what you buy at the grocery store, cook at home and order when you go out to eat. From my college years to my early working days, I often found myself going to the gym to negate whatever bad things I did at the Friday night frat party or Saturday afternoon tailgate. (Those were the days: brat and beer splurges without worrying about calories. Sigh.) As I’ve gotten older and allegedly wiser, I’ve learned a lot as my body and metabolism have changed. The bottom line is you can’t work hard at the gym, then eat a bunch of junk and expect your body to get where you want it to go. 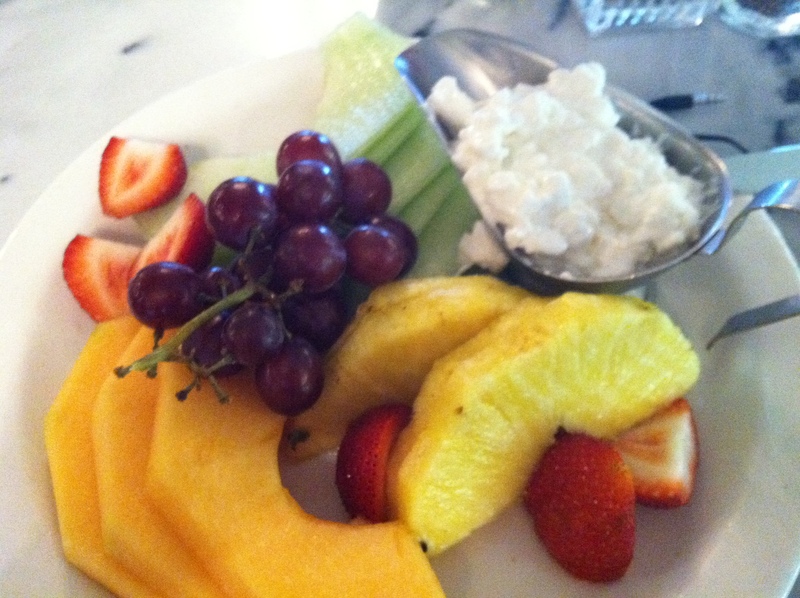 My latest exercise kick at Physique57® has really helped me re-focus my attention on healthy eating. Does that mean I deny myself the things I love like dessert or red wine? Absolutely not. So, what does it mean? Buying even more fruits and veggies to snack on or make part of my meals. Having two types of veggies with dinner instead of one. Drinking even more water and things like iced green tea, which along from giving me a little afternoon pick-me-up also offer the benefits of antioxidants. Want an easy way to sneak some more H20 into your daily routine? Have a glass of water first thing in the morning. You’ll get a few ounces in your system before rushing out the door for work or getting the kids to school. I’m truly in awe of those who commit themselves to “eating clean” practically 24/7. Many of these people never drink alcohol or eat anything processed or that comes in the color white (e.g. rice, pasta), and they fuel up mainly on tuna, broccoli, chicken and sweet potatoes. I know I can’t be that restrictive with my own diet for the simple reason that I truly enjoy rich foods and cocktails. However, I still do the best I can to keep it healthy while enjoying life in New York City. The nice thing is the harder I work at the gym, the better I want to be about my diet. The same works in reverse, too. When I eat well, I have more energy and can take my workouts to the next level. I guess you can call it the one double-edge sword that can actually help you have fun, be fit and feel fabulous! Posted on May 13, 2013, in Fitness, Health, Nutrition and tagged Clean Eating, Diet & Exercise, Laura DeAngelis, Motivation Monday, Personal Fitness, Physique57. Bookmark the permalink. 4 Comments. My girlfriend easily avoids eating foods that contain wheat, while I “cheat” too often (sandwiches mostly, bread is my downfall) and have cravings for rich foods. Watching what I eat is far more difficult for me than working out. Thanks for the feedback! It’s nice to know I’m not alone in my struggle to be “cleaner” about what I eat. In the end, however, the key is feeling comfortable with the lifestyle you’ve chosen – if that means giving in to temptation once in awhile, so be it! (At least that’s for my lifestyle…) Keep up your efforts to keep it healthy and here’s to a great week ahead! Honest and inspirational! Thanks and best of luck! Thanks for taking the time to leave a comment. Hey, if we can’t be honest, we’re only hurting ourselves in the long run, right?